As the racial hierarchy shifts and inequality between Americans widens, it is important to understand the impact of social class on the rapidly growing multiracial population. Multiracial Americans and Social Class is the first book on multiracial Americans to do so and fills a noticeable void in a growing market. 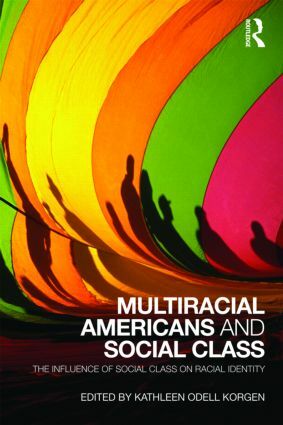 In this book, noted scholars examine the impact of social class on the racial identity of multiracial Americans, in highly readable essays, from a range of sociological perspectives. In doing so, they answer the following questions: Who is multiracial? How does class influence racial identity? How does social class status vary among multiracial populations? Do you need to be middle class in order to be an "honorary white"? What is the relationship between social class, culture, and race? How does the influence of social class compare across multiracial backgrounds? What are multiracial Americans' explanations for racial inequality in the United States? Multiracial Americans and Social Class is a key text for undergraduate and postgraduate students, researchers, and academics in the fields of sociology, race and ethnic studies, social stratification, race relations, and cultural studies. PART I Who are multiracial Americans? Social class and multiracial groups: What can we learn from large surveys?